There's a good amount of debate whether you need to carry a spare magazine along with your concealed or open carry gun. Some go so far as to carry a backup gun and spare ammunition for that gun too. Some people figure one magazine is likely all they'll need. 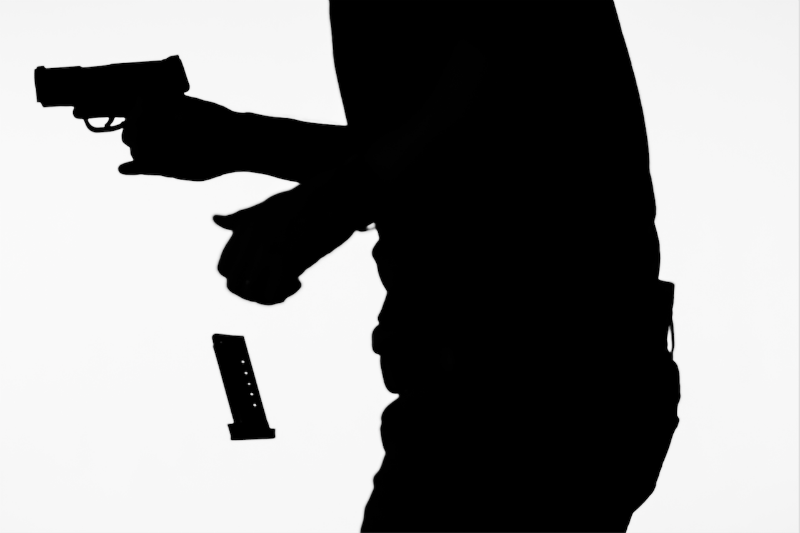 If you are going to carry a spare magazine in lieu of other strategies like the New York reload, there are some good things to know before you start - that way, you can carry a spare properly. The most obvious method for carrying a spare is pocket carry. 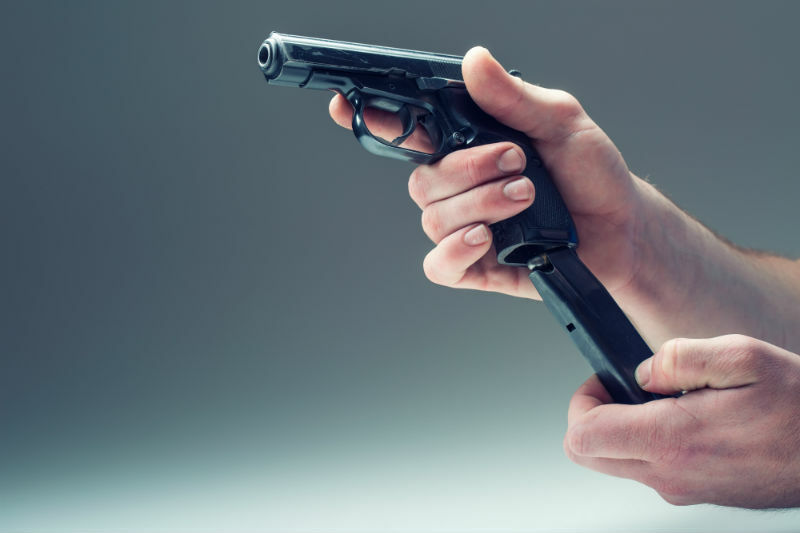 A pistol magazine is small enough to put in your pocket and not have it be noticed and light enough that it's not going to be any sort of issue. The garden variety magazine isn't any heavier than the garden variety phone, or any longer for that matter. Heck, with cargo shorts on...you can carry two or three boxes worth of ammunition on you if you wanted to. Except with all that ease and convenience comes a bit of a corollary. If you're going to pocket carry a spare magazine, you need something to cover it with. Why, you ask, when it seems SO obvious to just put one in your pocket? Simple. Pistol magazines have two components outside the frame itself - a spring and a follower. The spring is compressed and like any object, wants to become uncompressed. If a bullet can get dislodged in any way, the spring tension will help it do so. Pocket fabric or anything else that may be in your pocket could snag the top round and dislodge it. The same could happen for the next round and so on - and if carried in a large enough pocket, you might not even be aware of your magazine being a few rounds shy because of it. Even if you don't intend to carry a magazine holster, you should carry in a magazine holster. There are plenty of them out there designed for pocket carry that aren't much more than a simple sleeve. Granted, that's all it takes to keep from having a pocket full of loose rounds. The best way to carry spare ammunition is to get a magazine holster. There are a plethora of them on the market and with all sorts of purposes in mind. There are magazine carriers for open carry, there are magazine carriers for concealed carry, there are magazine carriers that are pretty much good for range use. There are tactical magazine carriers that will take spares into a warzone. 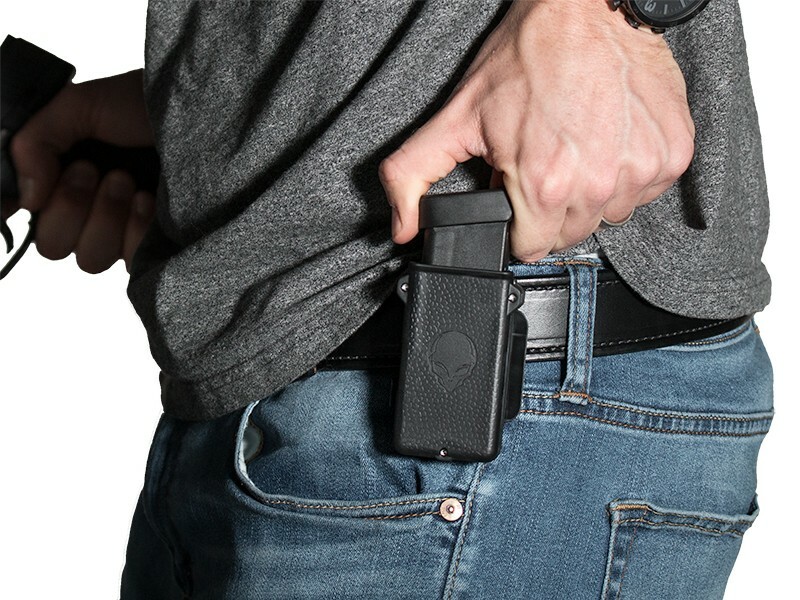 For the concealed or open carrier, there are plenty on the market that will easily and comfortably carry one or two - or more, depending on the design - spare magazines all day in comfort and concealment. 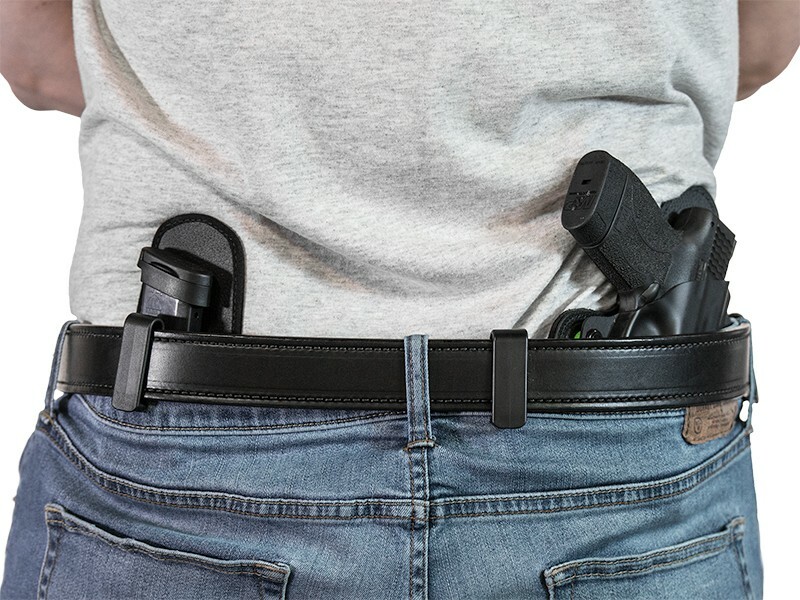 For the concealed carrier, try to find an inside-the-waistband design that tucks easily and isn't uncomfortable to have in the waistband. For open carry, find a model that has good retention. There are a select number of mag carriers that can do both. Such mag carriers may be the design to acquire, given the versatility. Just make sure that you have a good gun belt for carrying. A gun and holster plus magazines and holster are a lot to put on the waistband. There are also some interesting improvised mag carriers that can also work. Essentially, the idea is to employ camouflage by carrying magazines in something that would ordinarily be employed carrying something else. For instance, one way of doing this is to put a spare magazine in a pouch that would normally hold a multi-tool or knife. Most knives or multi-tools come with a pouch that has a belt loop and some sort of closure, such as velcro or a snap enclosure. A good number of people out there will squirrel a magazine away in one, though magazines for subcompact pistol magazines are only likely to fit. That said, 16 or more rounds is better than 7 or 8. That said, other belt pouches may be able to hold and therefore conceal larger magazines as well, and without drawing attention to a person carrying extra rounds. It's definitely a great idea to carry a spare magazine if you're going to carry on a daily basis. These are some good ways to go about doing it.